Are Mobility Scooters Better Than Cars? People with mobility issues may often consider buying a mobility scooter for getting around and carrying out everyday tasks. They may also wonder how a mobility scooter compares to cars in terms of flexibility, convenience and legislation. If you are one of these people, or have a loved one considering the purchase of a mobility scooter, Beechfield Healthcare offers the following advice. Before buying a mobility scooter, it is important to assess the situation so that you can make the right purchase. 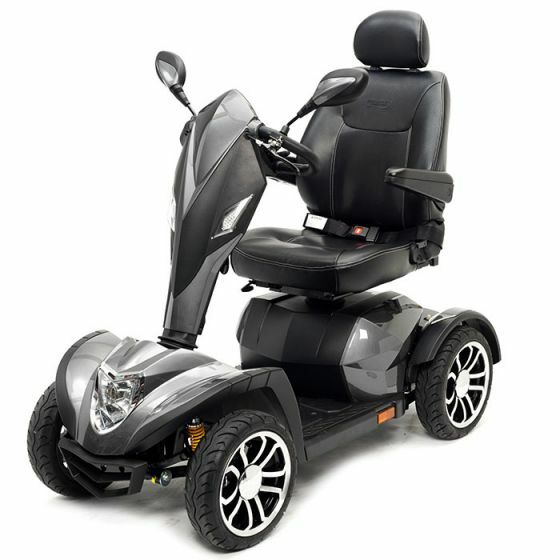 Factors include the severity and expected length of mobility issues, the amount of journeying that will be done in the mobility scooter and the type of terrain that the scooter will be travelling on regularly. These factors together should determine whether a mobility scooter is worth a purchase and which type best meets your needs. Unlike cars, you do not need to pass a test, hold a licence or obtain road tax to ride around on a mobility scooter. Mobility scooters are classified similarly to bicycles. Scooter users are expected to use roads and pathways the same way as pedestrians. Mobility scooters come in three standard sizes of small, medium and large. Small boot scooters are relatively inexpensive, easily dismantled and lightweight, making them easy to store away or take with you in the boot of your car. Medium and large scooters are heavier and bulkier but they are equipped with more features which allow for longer journeys, carrying luggage or shopping, navigating rougher terrain and generally have longer battery lives. Mobility scooters require very little maintenance. The main areas of focus here are to ensure that the batteries are charged daily, tyre pressure is checked weekly and that the machine is kept clean. It is important to buy your mobility scooter from a reputable source and comes with a comprehensive warranty. It is also hugely beneficial to buy off a company who will do regular service checks on the scooter to ensure that it continues working correctly and where they can offer advice. Mobility scooters are a worthy consideration for people with mobility issues due to their convenience, low cost and ability to use indoors and outdoors. Beechfield Healthcare offer a full range of mobility scooters and give free impartial advice on what type would best suit your needs and budget. For further information call 057 868 2304.